There are so many different ways businesses can conduct keyword research, ranging from free tools with average capabilities to expensive complex solutions. Among the many keyword research tools is Google Keyword Planner. 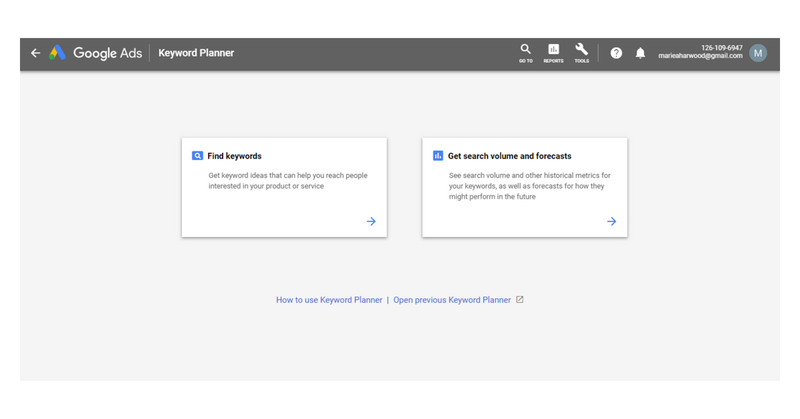 Google Keyword Planner is intended to be used in conjunction with Google AdWords, so it’s mainly used for businesses looking to conduct keyword research for their PPC campaigns. Whilst it’s intended to be used with PPC campaigns, you can just use it for research if you want to. But you do need a fully working AdWords account. As the name suggests, this tool is for finding keywords. Select this if you want to discover keyword ideas that can help you reach your target audience. 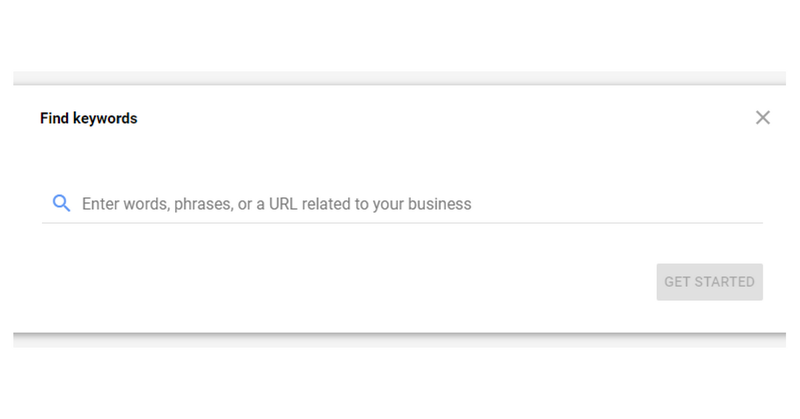 Simply enter a keyword, phrase or URL related to your business and Google Keyword Planner will generate a whole host of other keywords based on your word or phrase. The success of your research does depend on what you enter into the search box. The planner is primarily based on the information you enter, so be thoughtful about what you feature. When you’re done, click “Get Started” to see your results page. 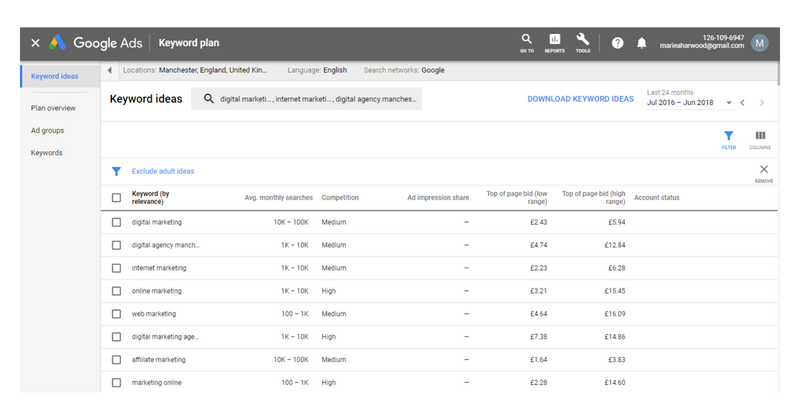 Keyword Planner will show you relevant keywords based on your initial search, including insightful information like average monthly searches, top of page and competition. Opt for this tool if you already have a bunch of keywords and you’re looking to find out their search volume. Unlike the Find Keywords tool, this one won’t help you discover new keyword ideas. Enter a list of keywords you’re interested in and discover performance forecasts and statistics. 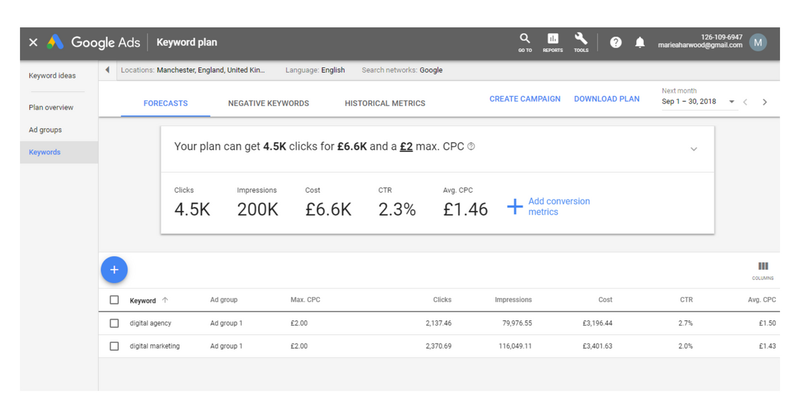 This tool probably won’t be relevant unless you’re looking to run AdWords campaigns with your targeted keywords, but it’s still good to see how they would perform should you use them in the future. And that’s the basics of Google Keyword Planner. You do need an AdWords account, which is free, but you don’t really need to run a campaign to access the Planner. By using the tool, you might be able to discover keywords you haven’t even thought of using and expand your potential reach on SERPs.